Kimberly-Clark’s commitment to the FSC aligns with its values and helps drive demand for responsibly managed forests. Nearly one in four people around the world touch a Kimberly-Clark product every day. As one of the world’s largest buyers of market pulp the company is a leader in its sector, with a family of brands that people know. Kimberly-Clark has a long history of continuous improvement. As one of the world’s largest buyers of market pulp, with products that touch nearly one in four people globally every day, the company first engaged with the Forest Stewardship Council (FSC) as part of a supply chain initiative to ensure it was supporting responsible forest management. 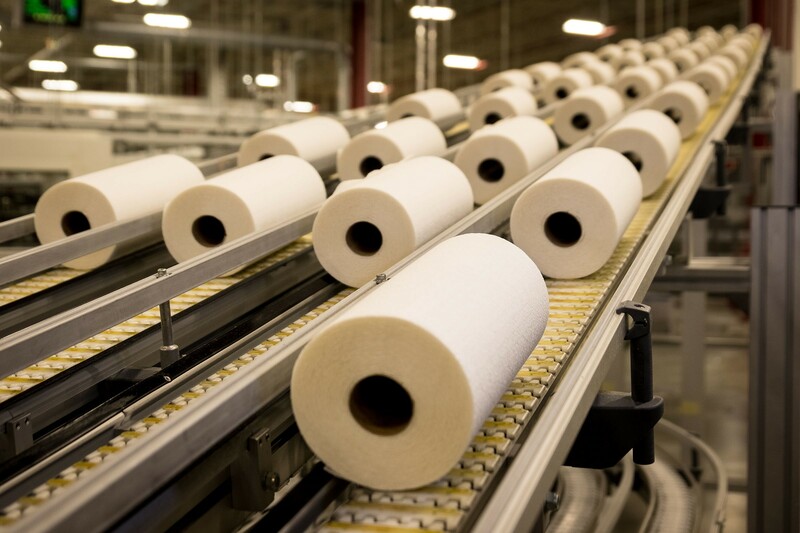 “The whole premise for FSC in our consumer tissue business was as a supply chain strategy,” said Brenda Nelson, Senior Director of Cost Transformation and Continuous Improvement at Kimberly-Clark. “We did not start with consumer or customer insights but when we saw that FSC could help distinguish our products, labeling was the most obvious thing to do,” she added. While Kimberly-Clark’s preference for FSC aligns nicely with its values, the change required a significant investment of time and resources, given the company’s footprint and complex supply chains. When leaders saw how much work had been invested and realized that FSC was a way to differentiate their products they began looking for ways to leverage the effort. Adding the FSC label to their products was an opportunity that rose to the surface, creating a way to tell their story to customers. Today most of Kimberly-Clark’s tissue products in North America include the FSC label. Back in 2006, Kimberly-Clark was early in its journey toward FSC. While the company had longstanding commitments to sustainability, supplies of FSC-certified fiber at a scale that could meet Kimberly-Clark’s needs were still fairly new in the marketplace. At the same time, environmental groups – notably Greenpeace – were raising questions about Kimberly-Clark’s use of forest products. Combined, these factors made it the right time to take action. “It is in our culture to do the right thing,” said Andy Clement, Vice President of Sales for Kimberly-Clark Professional, who was director of towel and tissue products at the time. “We knew internally that we had to put together a multi-pronged approach, so we worked in partnership with Greenpeace to identify solutions and ways to connect our brands more closely with environmental stewardship,” he added. Kimberly-Clark looked more deeply into its supply chains, identified ways to continue its efforts to improve the company’s environmental performance, and accelerated the pace of change, committing to use 100 percent fiber from certified suppliers in 2007 with a preference for FSC. In 2009, Kimberly-Clark Professional became the first tissue company to announce that all of its North American tissue and towel products were FSC certified. In 2011, the popular consumer products Kleenex and Scott Naturals also became FSC-certified, followed by all Scott branded products in 2012 and Cottonelle in 2013. As of 2015, most of Kimberly-Clark’s tissue products in North America were FSC-certified. This represents a dramatic shift – and a big investment – over a relatively short period of time. In fact, Kimberly-Clark increased the use of FSC-certified fiber in its global tissue products by 111 percent from 2009 through 2013. “From a branding perspective, we looked at the impact of adding the FSC logo to our products,” said Alma Alejandro, Senior Brand Manager for Global Kleenex (formerly brand manager, Scott Naturals). “We wanted to see how far we could leverage FSC in terms of communications to consumers,” she added. As customers and consumers became increasingly aware of the sustainability aspects of their purchasing decisions, they asked Kimberly-Clark about its tissue products, elevating the need for a sustainability communications plan. In 2009 Kimberly-Clark began market testing FSC to understand if and how to use the FSC logo on its packages. The results of the test were clear: while consumers did not necessarily know FSC, the research agency found that use of the FSC logo could help Kimberly-Clark differentiate its products and increase purchase intent. As a result, they recommended adding the FSC logo to Kleenex packaging. This was a big deal. For Kleenex, the packaging is the product. Consumers care deeply about the design and color, as the boxes sit on shelves and furniture in homes and offices. Changing design elements on the Kleenex box is not something done lightly. While a supply chain initiative may have started the shift to FSC, Kimberly-Clark’s customers took notice. And its competitors did too. “The point of difference raised the bar in our category about what was expected from our customers, and others in the category have followed suit,” said Brenda Nelson. In reality, Kimberly-Clark’s efforts impacted the whole tissue category, which created significant new demand and shifted supply of FSC-certified fiber. “We were surprised that Kimberly-Clark was able to influence the whole market so significantly,” Nelson added. The changes in the marketplace brought other surprises, as large retail partners began coming to Kimberly-Clark, asking for its help about how to lead on social and environmental responsibility. The retailers, which included Target and Walmart, wanted to learn more about Kimberly-Clark’s strategy, which in turn helped deepen the relationships between the companies. Kimberly-Clark was seen as a leader in the space. By committing to FSC, working with supply chain partners to make this commitment a reality and adding the FSC label to its iconic products, Kimberly-Clark reasserted its long-standing leadership in the industry. Going forward, Kimberly-Clark will continue to innovate. Decisions the company makes – whether about products, supply chains, labeling or packaging – become industry standards. As Millennials continue their ascendancy, we can expect sustainability to grow in prominence and importance. This new generation of consumers is more attuned to environmental issues and aligns with FSC’s mission, which creates new opportunities for companies like Kimberly-Clark to continue engaging its customers and consumers on issues of sustainability and responsible forest management. Authored and first published by FSC. Download a pdf of the case study from the FSC website. SUSTAINABILITY 2022 Kimberly-Clark’s sustainability report and stories.